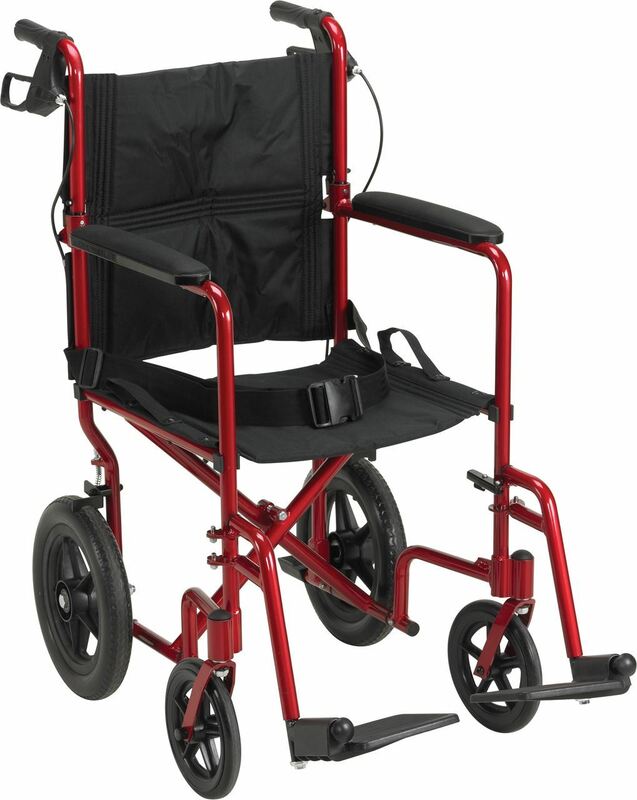 Previous productCruiser X4 Wheelchair 20"
The Expedition 19" Aluminum Transport Chair by Drive weighs 19 pounds and can support upto 300lbs. It comes with 12" rear flat free tires for a stable ride over a rough terrain. The companion activated wheel locks and seatbelt make the Expedition Aluminum Transport Chair safe and easy to use. It folds down flat for convenient storage and transportation.